Jordan Clarkson is a Filipino-American NBA Player who currently averaged PPG 13.7 RPG 2.9 APG 2.1 SPG 1.3. Clarkson was drafted in the NBA in the 2014 NBA draft and was selected by the Washington Wizards in the second round with the 46th overall pick and was immediately traded to the Los Angeles Lakers. In his First Year, was included to the NBA All-Rookie First Team. Clarkson now is one of the leading Player in the Los Angeles Lakers. 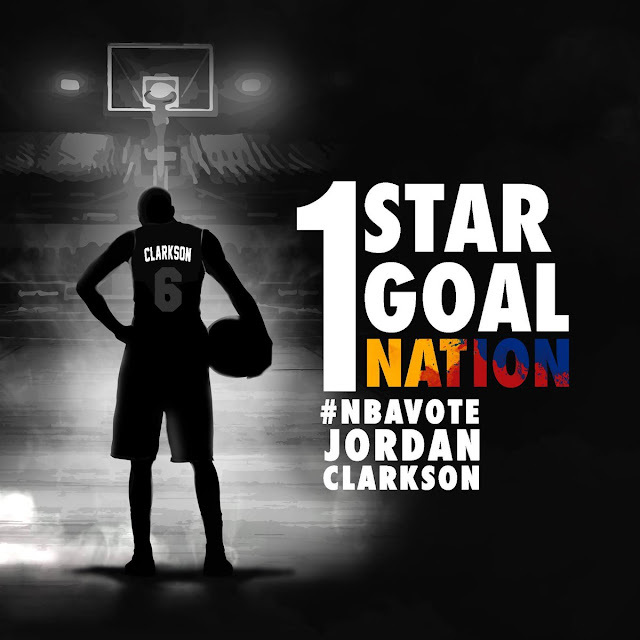 HOW TO VOTE Jordan Clarkson? 1. Click this link https://vote.nba.com/index.html?iref=asv17_nbacom_1046_44intl&cid=asv17_nbacom_1046_44intl##groupJ and vote Jordan Clarkson. You can vote once Daily. 2. From your NBA Mobile APP, fill up the ballot and choose Jordan Clarkson and click Vote. You can also vote once daily. 3. Using Twitter: Just tweet "#NBAVote Jordan Clarkson". You can tweet as many as you want. 4. Using Facebook: Just post or comment "#NBAVote Jordan Clarkson". You can post as many as you want. He also loves to represent Philippines in the 2017 NBA All-Star. Please support our Kababayan in his dream.